Goolara introduced a new automated workflow feature to its Symphonie email marketing software this week. The Automated Workflow feature lets you create sophisticated drip campaigns, shopping cart abandonment processes, follow-up campaigns and automations through the user interface. According to the vendor the automated workflow feature starts at a lower price point and without the difficulties and limitations that sometimes plague automation features. 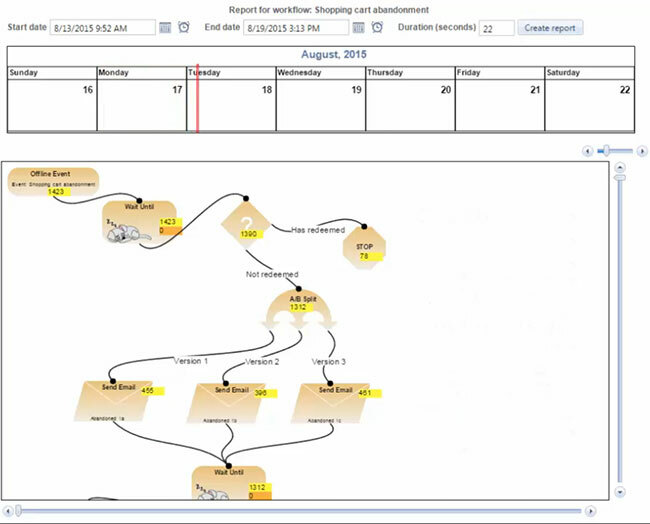 Symphonie’s Automated Workflow uses a drag-and-drop, flowchart-style interface that lets marketers design their workflow processes. If you’ve ever used Visio, or a similar diagramming application, Symphonie’s Automation interface will be very familiar. 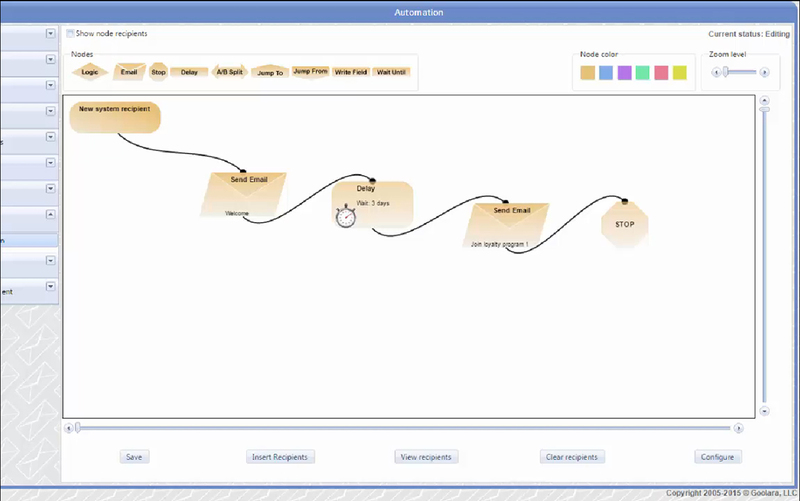 Here is a video of the automated workflow feature in action. Like a flowchart, the Automated Workflow offers multi-factor decision options, delays, email sends, and email alerts, as well as advanced options, such as A/B splits and features for providing data flow through to emails for mail merging. The Automated Workflow feature was designed to work hand-in-glove with Symphonie’s Offline Events feature, which lets you import data tables from sources outside of Symphonie. This makes it possible to trigger emails and build multi-phased campaigns based on several input sources, from point-of-sales data, to online registration, to trade show leads. If a marketer is collecting data in an organized format, and you can export that data in a standard CSV or Excel file, the marketing software can read it and use it in automation workflows. Once an automation is set in motion, the interface lets marketers the path for an individual recipient, or as an animation for the entire audience. Statistics are presented for every node in the workflow on deliveries as they happen, opens and clickthroughs. Attributes to help measure the effectiveness of the workflow. A marketer can follow an individual through a workflow to see the path that person took. Goolara is the maker of Symphonie. Designed to provide advanced email marketing features in an easy-to-use package.